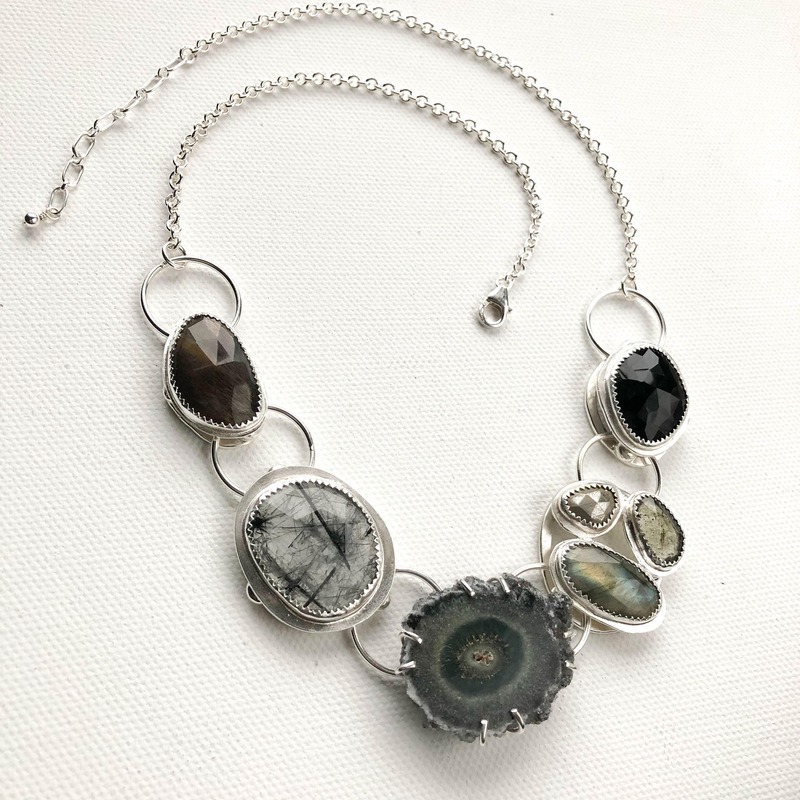 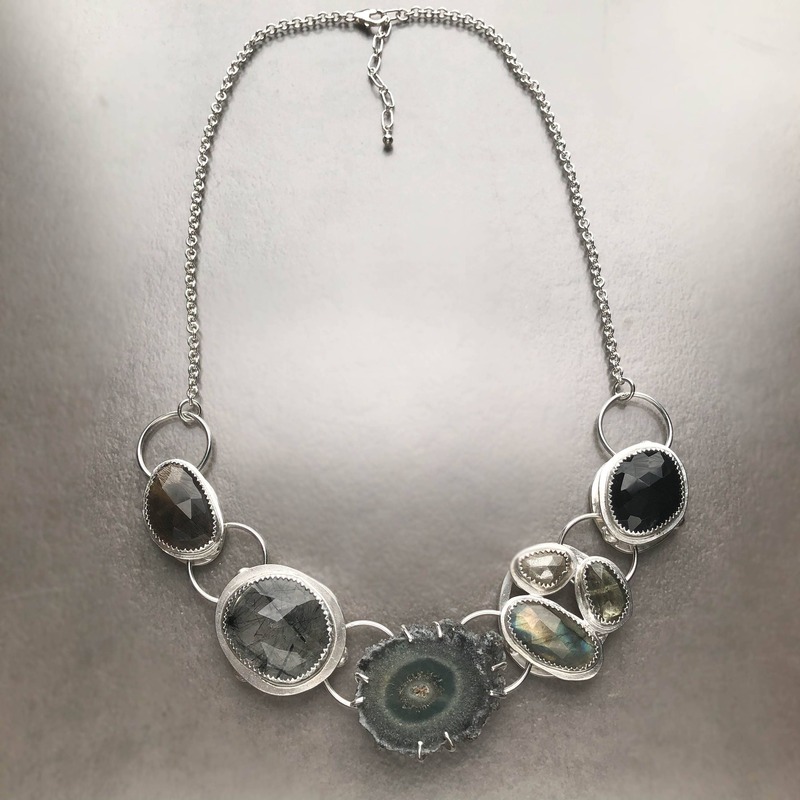 * Necklace is adjustable from 18"-20"
This one of a kind statement necklace was handmade with a collection of gorgeous and high quality gemstones bezel set in sterling silver. 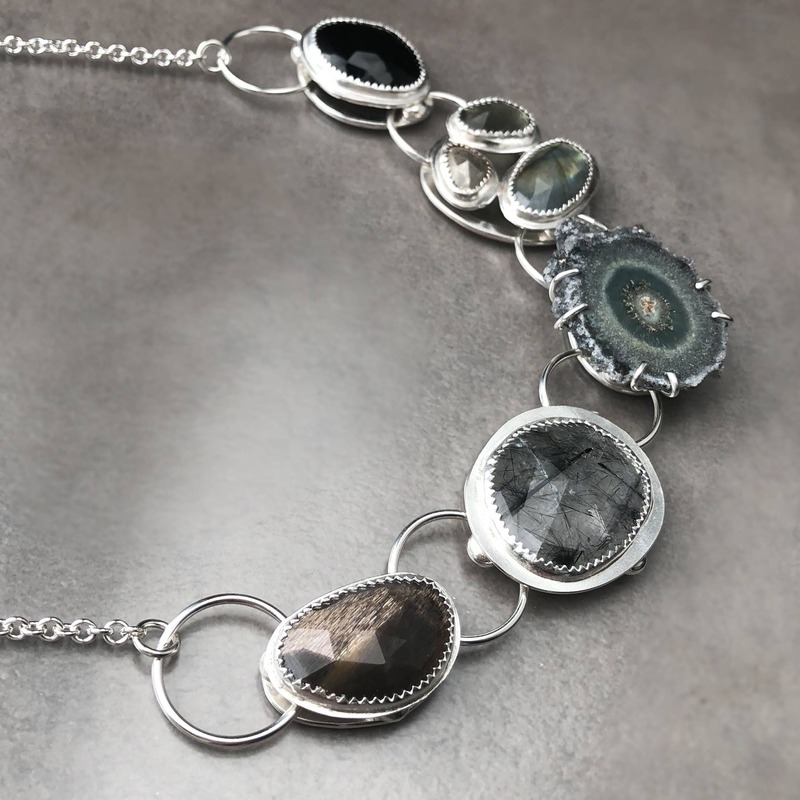 To create this I selected stones in a variety of earth tones so that it would be really versatile and neutral. 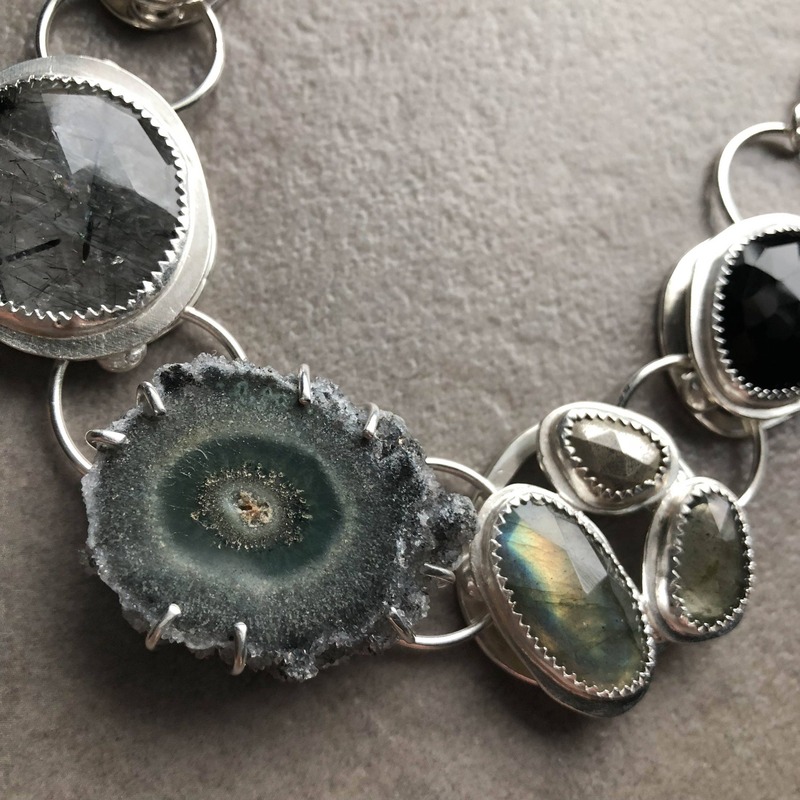 There is a beautiful gold sheen sapphire stone, a tourmalinated quartz, a raw green amethyst stalactite slice, labradorite, pyrite, moss aquamarine, and black onyx. 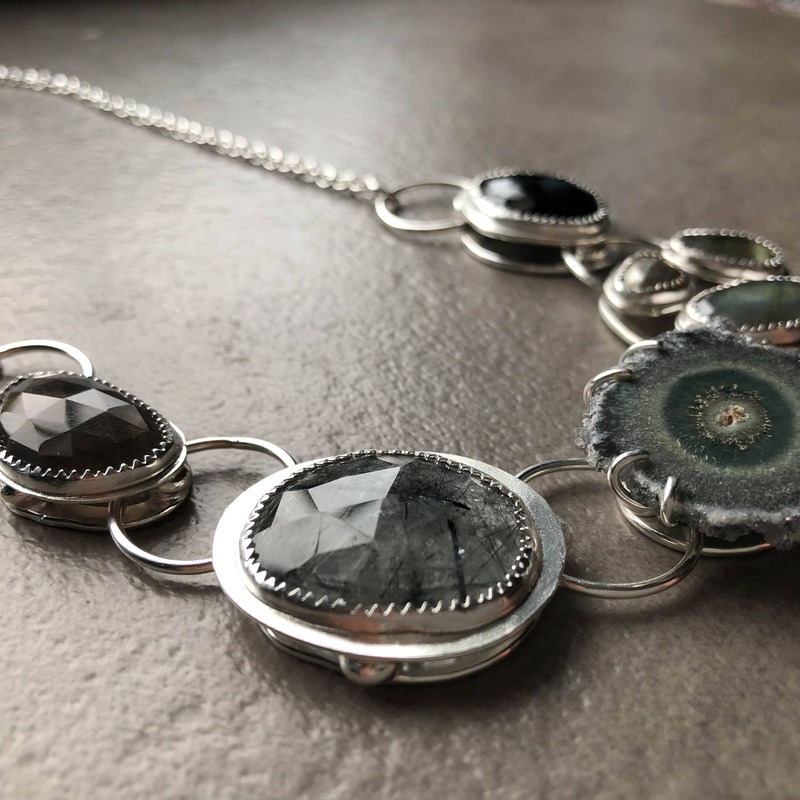 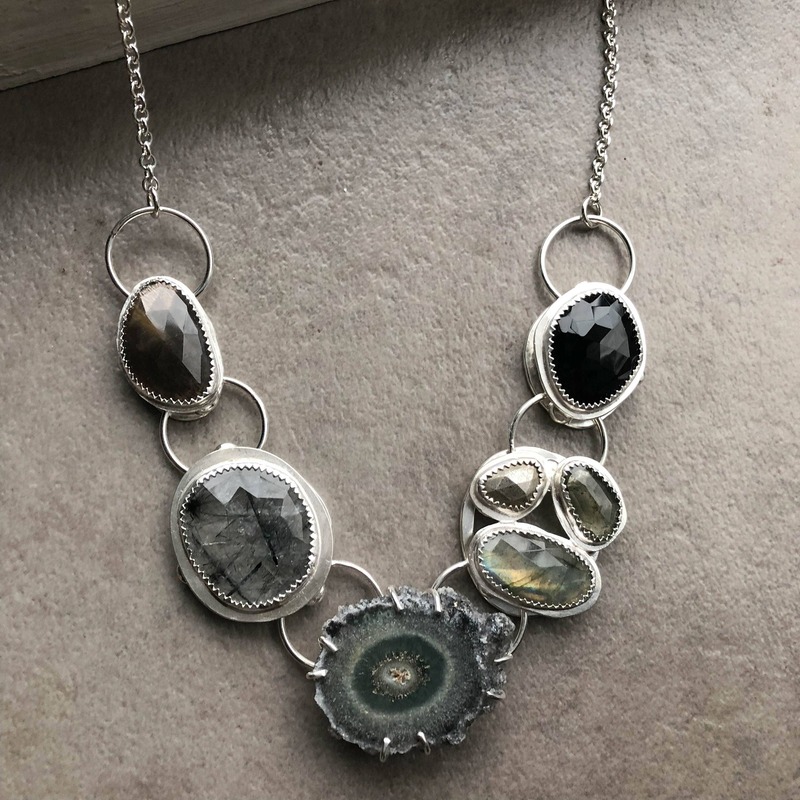 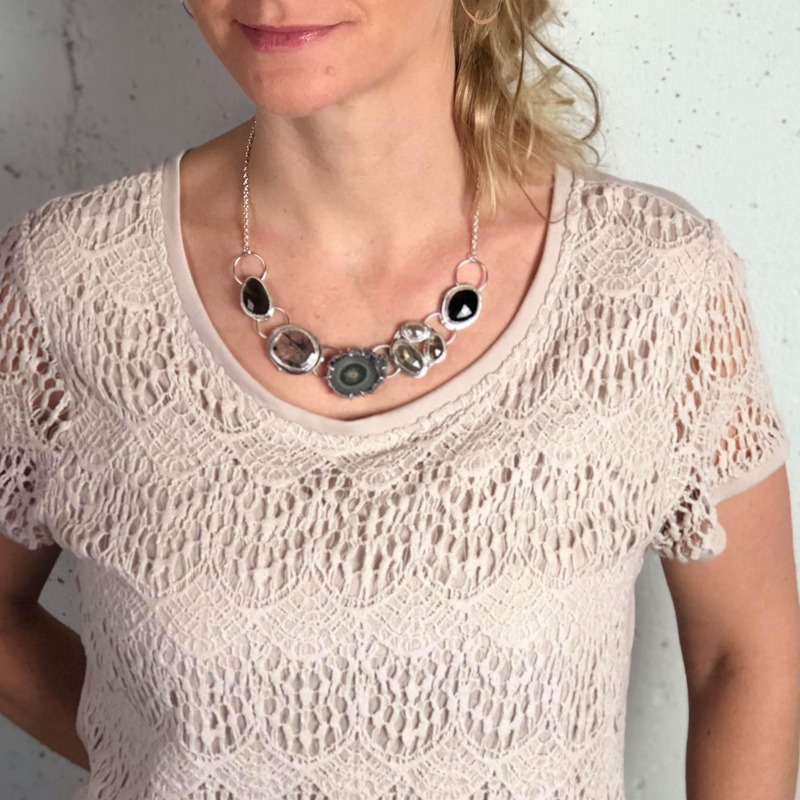 The stones are all rose cut which means they are faceted across the top and bring a wonderful texture to the necklace as well as just the right amount of sparkle. 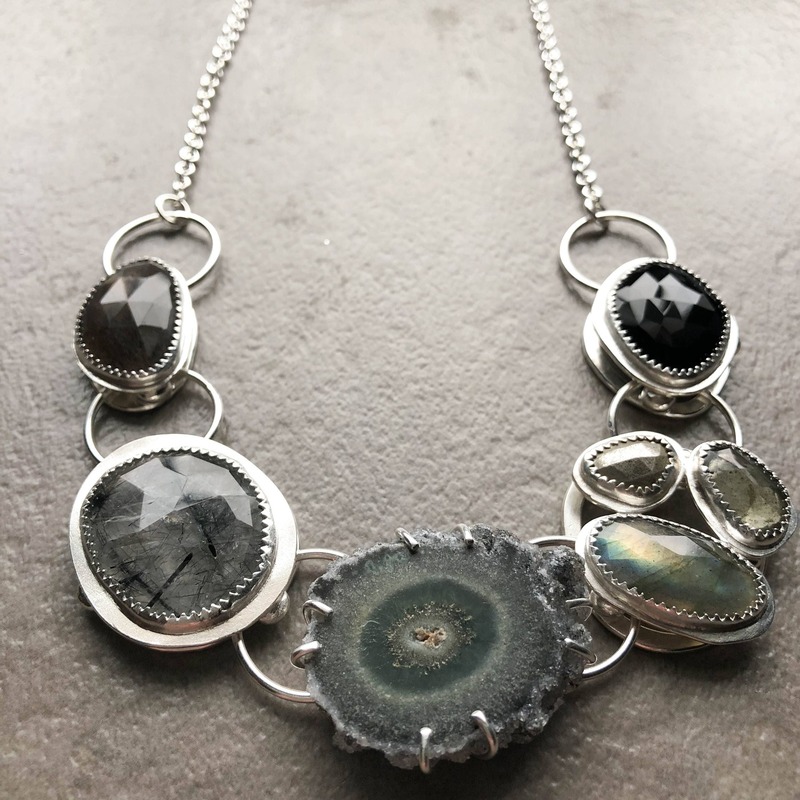 I created custom bezel settings by hand for all of the stones and connected them in such a way that this will absolutely never flip or twist when being worn. 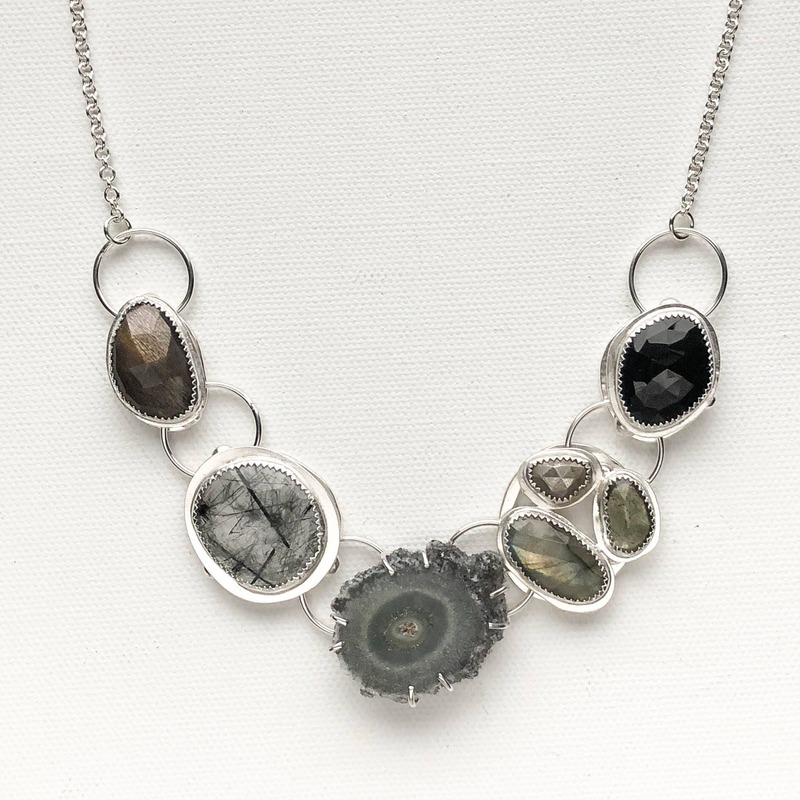 The chain at the back of the necklace is our heaviest weight sterling silver cable chain to balance out the stones perfectly. 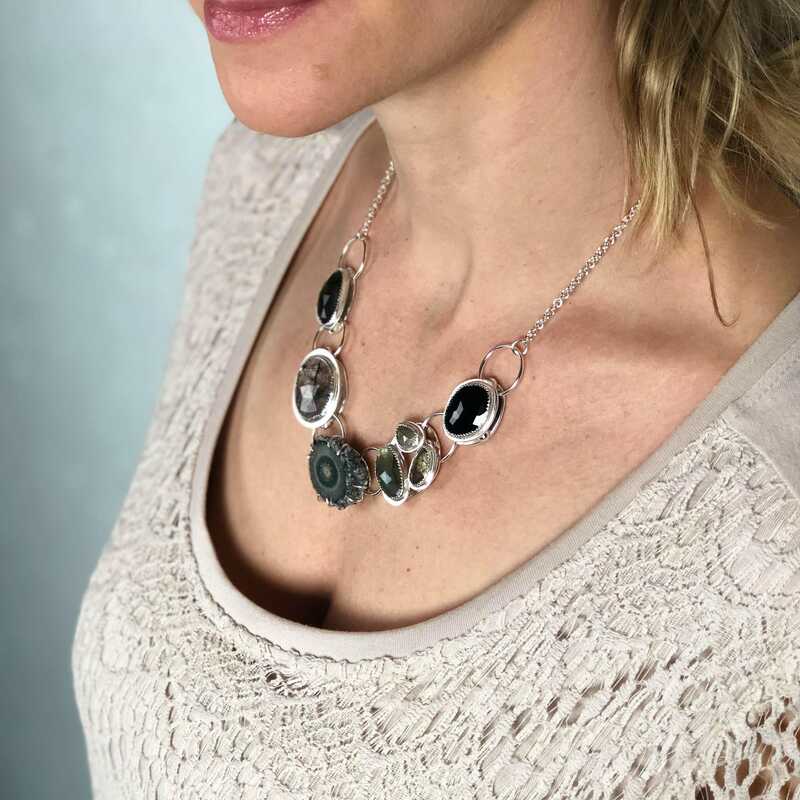 This is adjustable from 18"-20" with a lobster claw clasp and built in 2" extender chain.